Are you planning an event for the Holidays? Thanks Giving Dinner Family Reunion, Christmas Parties, New Years Eve Party???? 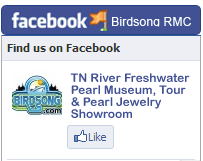 Please consider the Birdsong Resort Community Center as your venue. It is perfect for fall get togethers, bar-b-cues and football tailgate parties. Consider us when you plan your next outing! For more information or to book our Community Center call (731)584-7880. 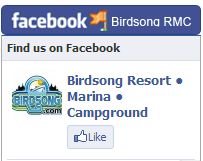 Birdsong Resort & Marina offers catering services – from ten to ten thousand – to make your stay with us more relaxing. Sit back and let the friendly staff of Birdsong Resort arrange for your food to be delivered to your rental units, or for a complete sit-down, full-service meal in our open-air pavilion. Breakfast selections range from doughnuts and coffee to a country breakfast with sausage, bacon, hash browns, eggs, biscuits and sorghum molasses. Lunch could be finger foods, box lunches or a picnic-style grilling. Evening meals have included appetizers, Steak, barbecue, chicken, shrimp, catfish… and the list goes on. Choose from most any meal of the day, and don’t be shy with special requests… you’ll be amazed what we can accommodate.